It’s January, the season of planners, gym memberships, and yes, organizing. Each year thousands of Americans add “get organized” to their handy list of New Year’s resolutions. And every year those same people watch their closets, mudrooms, and living spaces fall into disrepair. The trouble isn’t that people are messy; it’s that most homeowners have too much stuff to keep home spaces clutter-free. We’re taking it from the top. 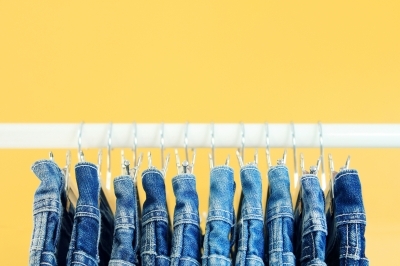 Keep your closet neat and tidy with a full-on closet purge this January. Memory pieces. We get it, you loved prom. But if you’re 24 (or 44, or 64) and your prom dress is still taking up closet space, that’s a problem. Box up any clothing you’re keeping for sentimental purposes. If it has real sentimental value (like a wedding dress or varsity jacket), carefully seal it and store it in the attic. If not, let the pictures speak for themselves. Things that don’t fit. We’re not just talking about expanding waistlines here. If a piece of clothing hangs loosely, fits too snugly, or bunches in weird places, it’s time to toss it. If it’s not a flattering cut for your figure, pass it to someone who will appreciate it more. High maintenance clothes. If you find yourself passing up a perfectly good suit because you don’t want a trip to the dry cleaners, it’s not a good fit for your lifestyle. Donate it to someone in need and stick to the washer-ready wearables you love. Fashion flops. Sure, those metal studs were the height of fashion 10 years ago. But have you worn that faux leather bag in the last 5 years? Purge your closet of any relics from seasons past. Old, torn, or stained items. That shirt you loved a little too well for a little too long? It’s no longer doing you any favors. Bag it up and make room for something fresh, clean, and hole-free. Things you won’t wear again. Stop asking, “When was the last time I wore this?” and start asking, “Will I wear it again?” If the answer is, “probably not,” pass it along to someone who will. Old organizers. Whether it’s a cramped shelf or a broken shoe rack, if a closet organizer isn’t doing its job, it gets the boot. Getting rid of old clothing, closet organizers, furniture with no storage space, and other junk you found hiding on the shelf? Call Mr. Junk to donate or recycle your home clean out items so you don’t have to. © Copyright 2019 Trustworkz Basic Theme All Rights Reserved.